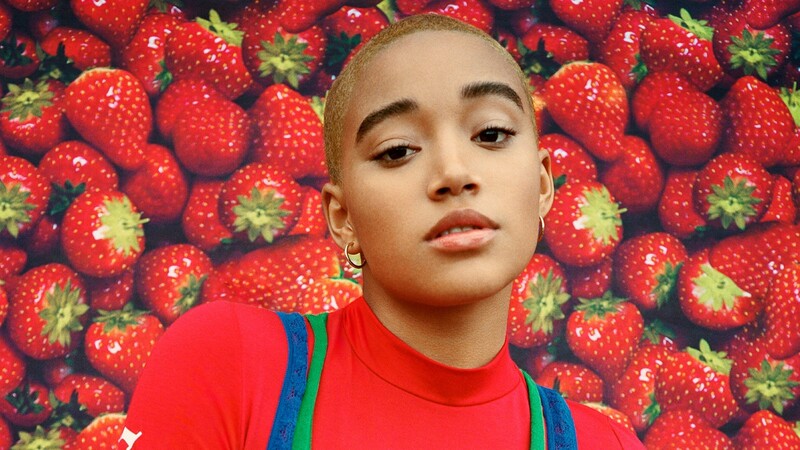 When Amandla Stenberg heard the news that Trump had been elected, she was in Nazi Germany. The 18-year-old actress and activist was on the set of Amma Asante’s forthcoming film Where Hands Touch, the untold story of the biracial children who existed in war-torn Germany, shooting a scene with a backdrop of buildings covered in swastikas. Stenberg has already mastered the role of activist, using social media to advocate for, and amplify the voices of, young people who are black, queer and gender non-conforming. The space that she’s determined to conquer next? The cinema. 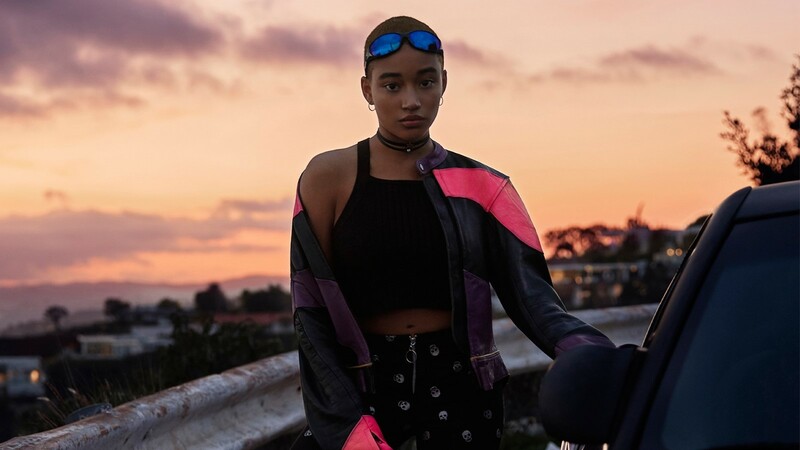 As she enters adulthood, Stenberg is taking conversations about revolution offline and changing their course by inserting herself into cultural spaces where people like her still aren’t seen. This is the very thing that drew her to Asante, whose sophomore feature, 2013’s Belle, is a period drama with a mixed-race protagonist. From 18th-century London (Belle) to Apartheid-era Botswana (last year’s A United Kingdom) and now 1940s Berlin (Where Hands Touch), Asante’s glossy period pieces present alternative versions of history, revised and rewritten through sheer force of representation. Across three different time zones in Los Angeles, New York and London, I spoke with Stenberg and Asante about authenticity as activism, self-care as survival, and the shared bond of sisterhood between them. So you see Amandla as a kind of daughter? AA: It’s really interesting because we’re used to referencing each other as sisters, particularly as women of colour. Amandla is both sister and daughter. I want her to talk about it first, actually. AS: I don’t think I’ve ever felt the age difference, because I don’t really think about age in that more traditional way. But I definitely think that, with black women, there’s this intrinsic tendency to regard each other as sisters. Both of you cut your hair recently; I wanted to ask about your relationship to your hair and how it relates to your femininity. AS: I’d actually wanted to cut off my hair for a while, and then Amma reached out to me, before Where Hands Touch, and asked me if I’d be willing to shave my head. My response was, ‘Absolutely!’ It was emotional, because I understood how my hair had been a symbol of self-love and self-acceptance for some people, and I understood how having that representation was important to some young girls. Now I feel like self-acceptance has nothing to do with my hair. I feel like my belief in myself – my acceptance of myself, my ethnicity, my blackness, my everything – is there whether or not I have hair. And so I think it was important for a period to have my hair be a symbol of self-love, but now I know that my self-love is there, whether I’m bald or have a full ’fro. AA: That’s so interesting, because I remember having this conversation with myself many years ago, and wondering how my connection with my hair said something about my identity and my sense of acceptance. I’ve worn hair extensions ever since I started working in television, probably. But what that allowed me to do was change up my hair while still making sure that my hair was braided underneath. But that for me never spoke to identity, it purely spoke to comfort and what made life easier for me. What are your thoughts on using your platforms as a catalyst for change? As activists, how do we galvanise action beyond social media and the internet? AS: I’ve been thinking about this a lot recently because, growing up having this platform, I feel a consistent responsibility to utilise it well. I think, for a long amount of time, the most effective thing was to use my platform to speak out openly about the topics that were important to me, such as cultural appropriation, black women feeling their power and learning how to have self-confidence – especially black teenage girls. That was really important for me for a period, but I’m not sure it’s the most effective (thing) any more. I feel like social media is a little oversaturated with some of those conversations – not to say that they aren’t important – but I think now is a really critical moment to move from conversations to action. For me, making movies like Where Hands Touch is the next step. Now I feel like it’s my job to be a spy and infiltrate some of the mainstream media and see what changes I can make just by creating that representation. There’s a power in being part of projects like Everything, Everything (an upcoming film in which Stenberg plays a reclusive teen who falls for the boy next door), which is a teen romance movie, but also one of the first teen romance movies to feature an interracial couple. I see it as sneaking in the medicine with the candies. 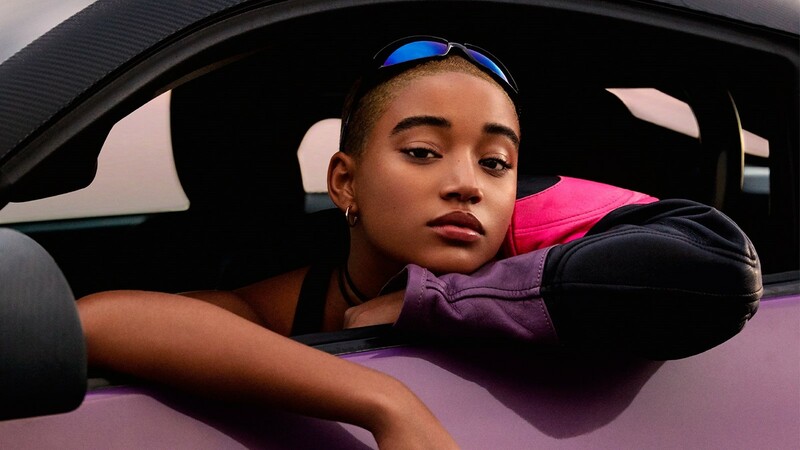 AA: I can’t help but wonder, in the small hours, what my life would’ve been like were I a 16-year-old kid that had an Amandla Stenberg in my world! 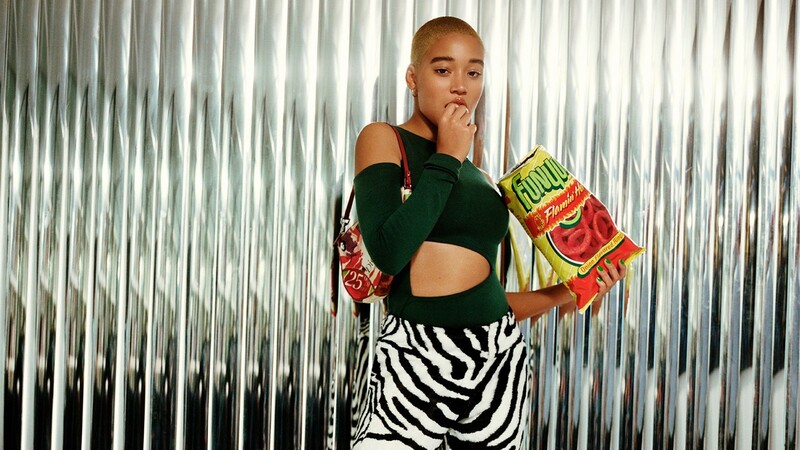 AS: I feel like one of the most impactful things I can do within the realm of social media at this point is try to break down the barrier between consumer and celebrity – between teenage kids and their perceptions of me as a celebrity. AS: Because one of the most damaging and scary things that I’m witnessing right now is that huge disconnect. It’s so easy to consume people through social media – to mindlessly consume them as ideas instead of people. I understand that my job and a lot of the amazing things I get to do and experience come with having my identity become more like public property, but something that I’m trying to do is figure out how to have my followers think of me as a person. AA: The courage to be vulnerable is, in itself, such a strength. I totally hear you, Amandla, when you talk about humanising yourself. Being an activist also requires you to make yourself vulnerable, in a sense. How do you balance being public figures and taking care of yourselves? AA: ‘Self-care’ was a word that came to me very late in life – the understanding that I actually had a right to step back and take some time to look after myself. AS: I am a pretty spiritual person, and that’s because my mom is a practitioner at a church (non-denominational church Agape). I don’t consider myself (religious), but I do believe in a kind of organisation to the universe and events that transpire. I think that just having an internal knowledge of things unfolding how they are supposed to is self-care. My mom calls it surrendering. She’s a surrenderer. AA: I guess that’s the antithesis of someone who experiences anxiety – as somebody who experiences anxiety a lot, the one key thing I understand about it is that it’s the inability to surrender. Anxiety is trying to control all of the time. Having the skill to be able to say ‘what will be, will be’ is very cool. AS: It’s something that I’m continuously learning – it’s not like I’ve mastered it or anything. I see a lot of teenagers experiencing really high levels of anxiety and depression. I’d say that every person I know in my age range experiences it to a degree. I think a lot of it has to do with this human disconnect that the internet is creating, but also general anxiety about global events and the difficult climate that we’re entering as young working people. So I think one of the most powerful things to do in this moment is to have faith. AA: Gloria and her organisation, Women’s Media Center, is the one that really allowed me to commit to the concept of having women shadow me whenever I’m making a film. Her idea of always sending the lift back down and bringing someone back up with you is an important one. AS: The meaning of the word ‘activist’ is kind of shifting to me. If you’d asked me this question six months ago, I would probably have said Gloria Steinem, I would’ve said Solange, I would’ve said Rowan Blanchard – and these people are still really crucial activists in my mind, but I’m also seeing the activist as someone who is just not afraid to be truthful or vulnerable. I really like Princess Nokia, just because of how she expresses joy on her social media platform. AA: I want to chuck in a couple of names as well. Simran, do you know (culture writer) Zeba Blay? AA: Each time she writes an article that expresses a whole private part of her ‘self’... I am just blown away by her courage. She does (the podcast) 2 Brown Girls with Fariha Róisín – I find them really, absolutely inspirational. This may seem like I’m going completely off-track, but I was talking about how my paternal grandmother pierced my ears when I was four. Most people will have those piercings re-pierced, but I’ve still got the original piercings that my grandma gave me. When I think about my identity and how I connect to my blackness, I think about my connection with her and the fact that I still walk with the evidence of her (motions) this close to my brain, right where my ears are. This six foot-tall Ghanaian woman who, when I look in the mirror, I see. It’s cool that you’re able to carry this physical trace of your heritage. Amma, there isn’t a long lineage of black female directors in the UK to guide you as a filmmaker. How important is it to both of you to have mentors that are women of colour, or to mentor other women of colour yourselves? And what about you, Amandla? AS: I’m really lucky to have been born when I was born, because so much of the initial work has been done – and yet there is still so much more. I’m surrounded by a community of black women who are working every day to do what they need to do. I hope to be able to create that for other people. What is one thing that you’ve learned from each other? AA: Amandla has taught me that parenthood doesn’t have to come in the form of the child that you create with your partner. Those feelings of nurturing and reward can be placed on somebody else’s child and be just as rewarding. AS: I think in many ways Amma is a mother to me. She pushed me to grow and challenge myself, and yet I never doubted her belief in me. I think if there’s anything a parent should do, that’s it. I will never forget the day that Trump was elected. As soon as I heard the news, I started crying (on set). The thing Amma told me when she pulled me aside was, ‘Progress is like a coil. You have to go down before you go up and it continues in cycles, and yet the entire time you are still moving upwards.’ Knowing that we were moving upwards in making this movie, even though these events were happening in the world... That was one of the most powerful moments of my life.